UPDATE 4/17/2015: Registration is now full. 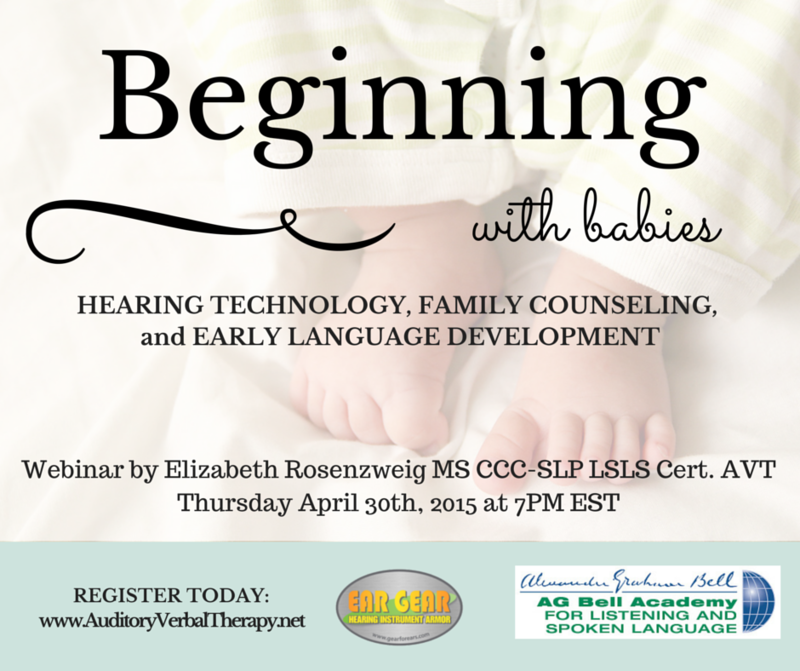 Due to the high level of interest in this program, we may be offering an encore of the webinar in May. Stay tuned! I am excited to be partnering with some great organizations this spring to give two FREE webinars for parents and professionals. Both events also offer 1CE credit from the AG Bell Academy for Listening and Spoken Language. See below for more information and links to register for the courses. In this article: The “Medical Home,” social media and web resources, and listening and spoken language. Read on! In this post: EHDI’s 10 year history, parent grief, outcomes for children who are deaf-blind with CIs, teleintervention, and more. Read on! In this post: Using information technology to improve Early Hearing Detection and Intervention (EHDI) programs. Read on! On Thursday, we drove to Costa Rica’s rainforest canopy. It was amazingly lush, filled with all kinds of insects and animals, and humid! At Turu Ba Ri park, we were able to ride zip lines across the canopy for an amazing view of wild Costa Rica, and take a horseback tour. While on our tour, the guide told us about Costa Rica’s national tree, the guanacaste. The guanacaste is a large, shady tree, which is nice, but what really blew me away was the meaning behind the tree. Guanacaste means “EAR TREE” in the native Costa Rican language! When dried, the fruits of the tree look like curled ears. Native tribes would use them as soap and also shake the sead pods as instruments in religious rituals. Of all of the souveniers from this trip, I think the “ear” from the guanacaste tree will be my favorite. What an amazing coincidence! Today, we returned to the Cen Cenai public preschool center (like HeadStart in the US) to continue our screenings for hearing, vision, cognition, speech, and language. Overall, we were able to screen about 75 children and provide appropriate recommendations for follow-up as needed. Conducting the hearing screenings was difficult, however, due to the incredibly noisy environment at the school. As I mentioned before, the walls are concrete and the floors are tile. Windows are left open for ventilation, and the room in which we were screening was right next to the children’s play area, which was partially enclosed, further echoing all of the noise. As such, it was difficult to hear the 25dB tones we presented via portable audiometer, and the OtoAcoustic Emissions (OAE) tester we brought would give false negatives due to background noise quite frequently. It was far from ideal, but we made it work and, hopefully, provided the children (and their parents and teachers) with valuable information that will help them reach their full potentials.